With the ever evolving mission of our Armed Forces, soldiers in today’s modern military are confronted with a full array of tactical challenges that range from humanitarian relief efforts, to peacekeeping and law enforcement, to direct combat. These duties often require deployment in complex urban settings, within a relatively brief timeframe and a small physical area, which is referred to as a “three block war”. To facilitate proper preparation for these complexities the U.S. Department of the Navy chose Soltek to develop and construct a training facility that re-creates a city’s entire urban core. This facility is known as the Combined Arms Military Operations in Urban Terrain training facility, or MOUT. The MOUT enables Marine Expeditionary Brigades to conduct training in an environment that replicates the difficulties units will face as they communicate, coordinate, maintain situational awareness, navigate, and track urban operations. 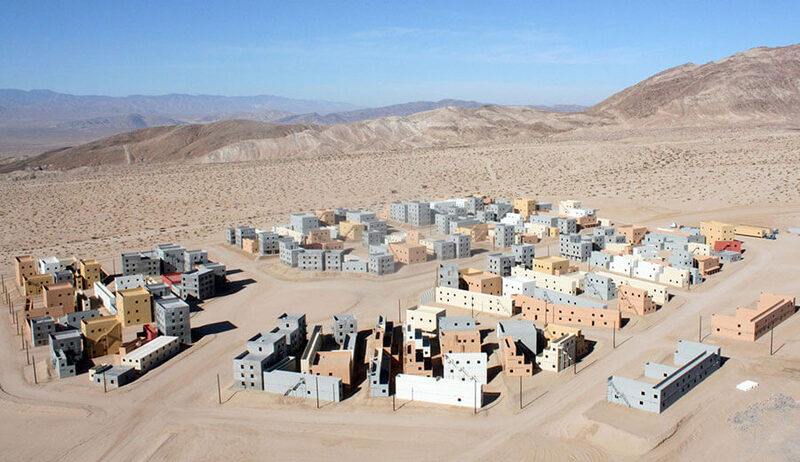 Soltek’s design for the simulated urban core of the MOUT project consists of 128,000 sq. ft. of space in 54 separate cast concrete and masonry structures. Each building is between one and five stories tall, and includes exterior ladders and fire escapes, kick doors and interior walls in maze configurations to aid in training. The MOUT facility supports a variety of training tasks related to the deployment and maneuverability of Marine units in an urban setting by creating a challenging and complex three-dimensional environment that resembles “real world” urban conditions. 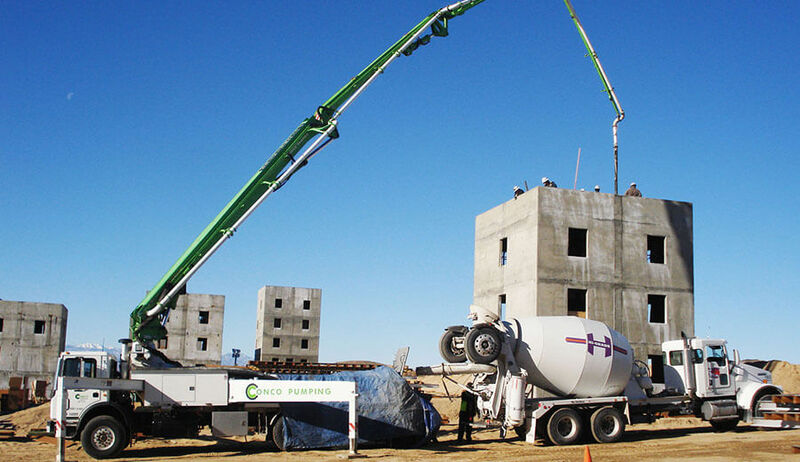 Site planning considered the arrangement of the 54 concrete buildings, plus an additional 102 pre-fabricated box building structures, and 52 modular buildings situated in city blocks throughout the entire 28-acre site. 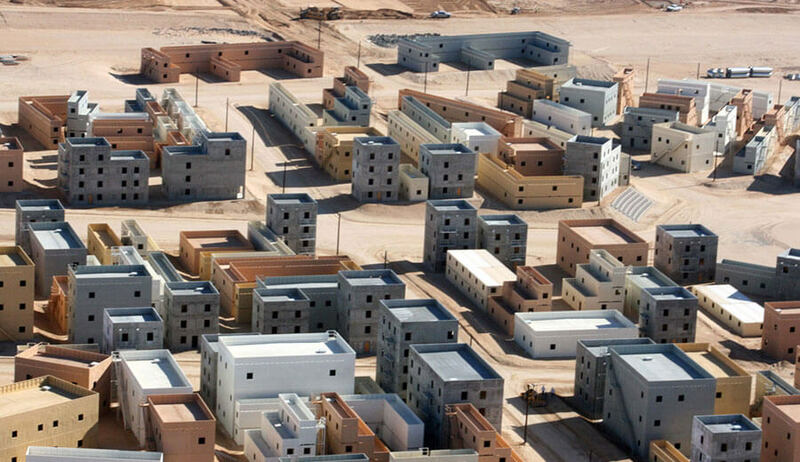 The project was constructed in a remote desert region and required extensive measures for personnel safety, construction water, temporary electrical and communications.